Howard Hughes’ ‘Spruce Goose’ flew for the first and only time today in 1947. The Hercules (H4) is the largest flying boat ever built, and up until 2018 had the largest wingspan of any aircraft that has ever flown. Nicknamed the Spruce Goose as it was made almost entirely of birch , the aircraft remains in good condition to this day and is now displayed at the Evergreen Aviation & Space Museum in McMinnville, Oregon. The flight on the 2nd November lasted 26 seconds, gaining an altitude of 70 ft (21 m), and a speed of 135 miles per hour for about one mile. 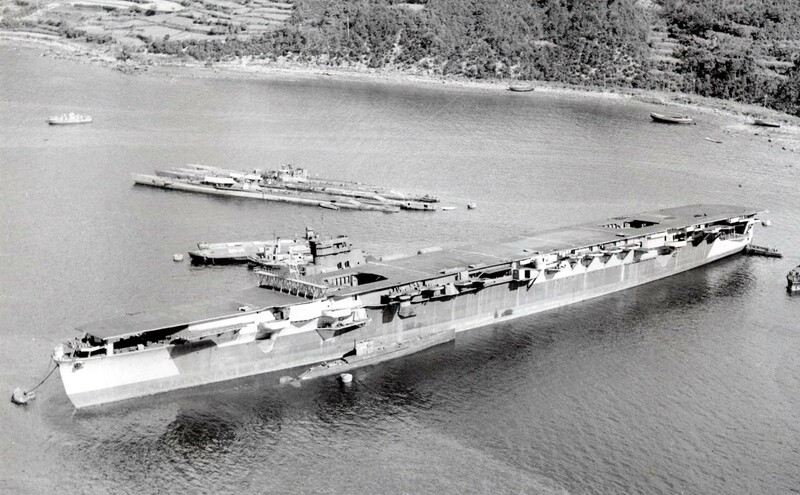 Incomplete Unryu-class carrier Kasagi, in the Sasebo Bay, Japan, 2 Nov 1945. The first three Unryū-class aircraft carriers were laid down in 1942 and construction of a further three began in ’43. In the end, only three, the Unryū, Amagi, and Katsuragi were finished and the other three carriers, Kasagi (above), Aso and Ikoma were abandoned in 1945. The Russian ‘Night Witches’ during the battle of the Caucasus Nov 2nd. 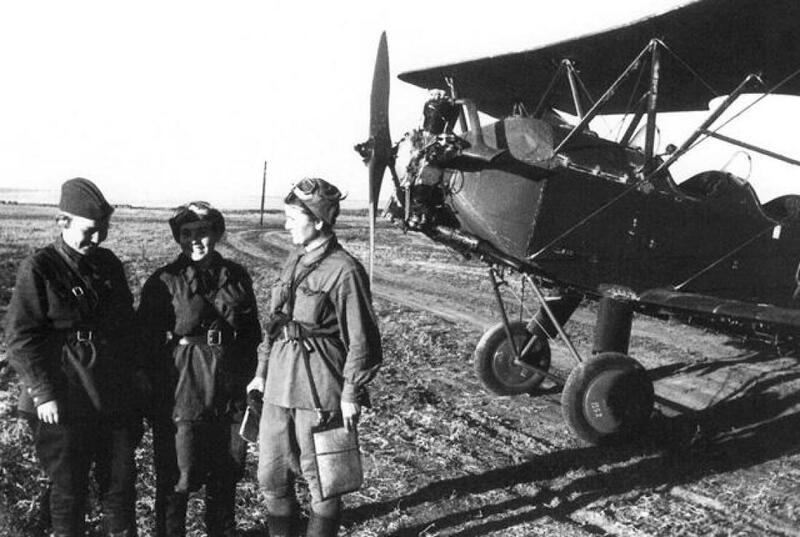 Flying old 1928 vintage Polikarpov Po-2 biplanes, these women flew (mainly at night) to their German position targets, cut their engines, and glided to the bomb release point with only wind noise left to reveal their location. 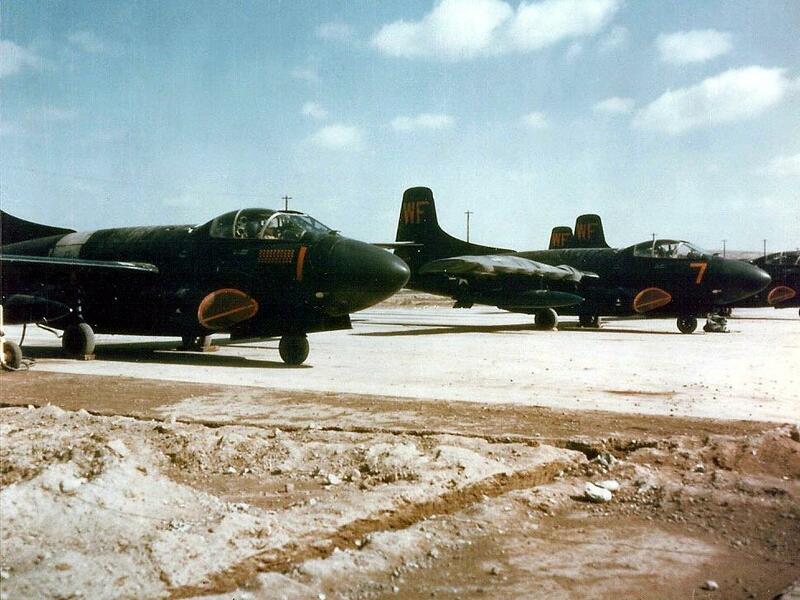 As the aircraft could only carry two bombs at a time, they’d often fly 6 or 8 sorties in a night. They did have they had the advantage of a maximum speed that was lower than the stall speed of the Bf 109 and the Fw 190, meaning German pilots found them difficult to shoot down. German soldiers christened them the Night Witches as they likened the sound of the gliding aircraft to broomsticks flying in the night. The pilots carried no parachutes until 1944. 13 responses to On This Day…November 2nd. I actually visited the Spruce Goose when it was still kept in California. Amazing piece of work. She was kept there for many years, James. Must have been amazing to see her in the ‘real’. Translated into modern money the research and development budget blown on this bird would be 300 million dollars. It was an amazing site David. Great trip with my parents. We spent 2 nights on the Queen Mary and visited with a few friends. Good memories. 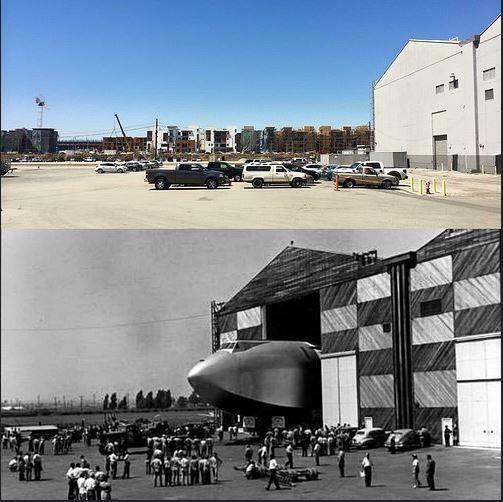 Ah, yes….the “Spruce Goose” – that was today, huh…? A few of them were downed by F4U-5N’s. Another great set of photos David. Thanks !!! There was yet another Po-2 shot down during the Korean War. From what I read, this one was intercepted and shot down by a Marine Corps F3D-2. The same source stated that the F-94B you mentioned actually flew “through” the Po-2 it was credited with. However in doing so, both aircraft were destroyed. So there is some discrepancies about how the F-94B plane was lost, and how the Po-2 was downed. You can read about this in the book called “F4U Corsair Units of the Korean War”. Its an Osprey book and the events are shown on page 85. Here’s more about the “other” kill mentioned on Wikipedia. USMC pilot Lt. Joseph Corvi and his radar operator Sergeant Dan George set another record with the Skyknight on the night of 10 December 1952, when they downed the first aircraft by an aircraft with a radar track and lock-on and without visual contact; they performed the feat by using their radar to lock onto a Polikarpov Po-2 biplane. They were also credited with another probable kill that night. 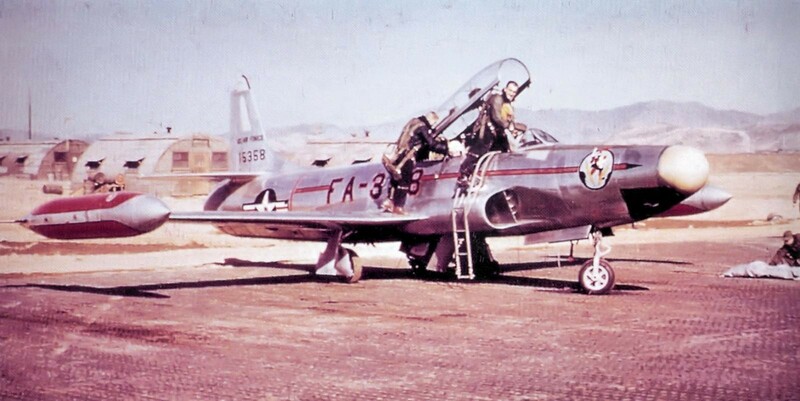 Here’s a picture showing F3D-2s of VMFN-513 at Kunsan Air Base, Korea, in 1953. This was the unit the plane was assigned to. I stand corrected on the Corsair claims…………….. and you are absolutely correct about the night raids carried out and how devastating they were to the parked Sabre jets. Good catch on that one Louis, you beat me to the punch on that one. Thanks, David. I had no idea the Spruce Goose was at McMinnville. Heading to the Oregon coast for family holidays I’ve passed the museum a couple of times, enough to see a PBY and a couple of jets parked out front, but I’ve never stopped in. New motivation for a destination only 90 minutes away! Great reminder on the Goose…This is a then and now shot I took at Culver City a couple years ago. I poked my head in the door and it is a beautiful wood structure. I’m glad these were not torn down during the redevelopment of the airport. Fantastic, Jim. Thanks for sharing this – there’s a beauty in keeping things as they were, sometimes less is more.